A wide single door vintage wardrobe with oval mirror. 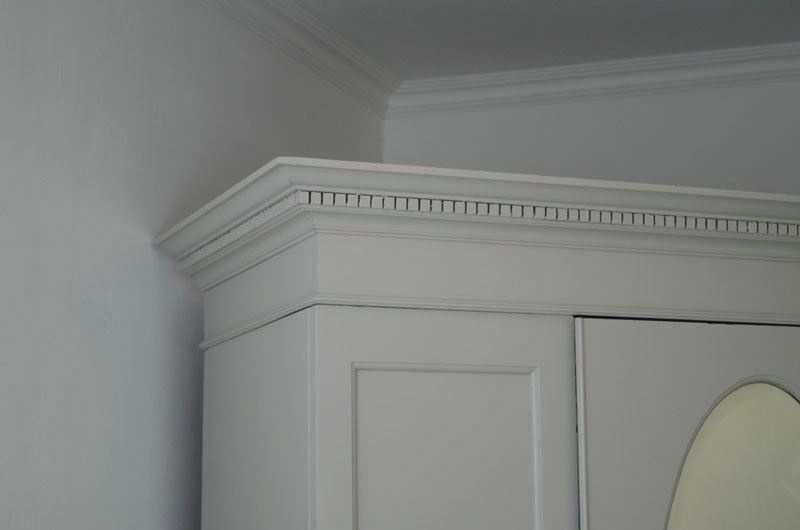 The wardrobe as a deep single drawer in the base. 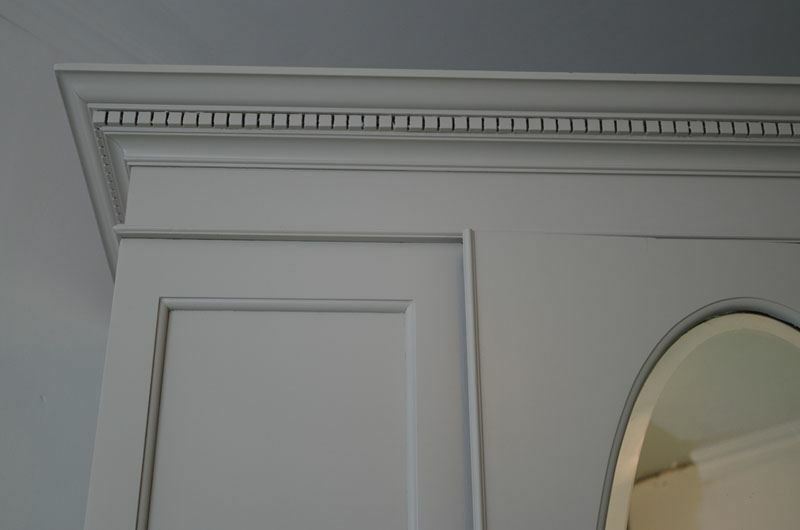 There is panelling to either side of the door and it has an attractive crown with dentil detailing in the cornice.The piece was made by CWS who were well known for manufacturing good furniture during the first half of the 20thcentury. 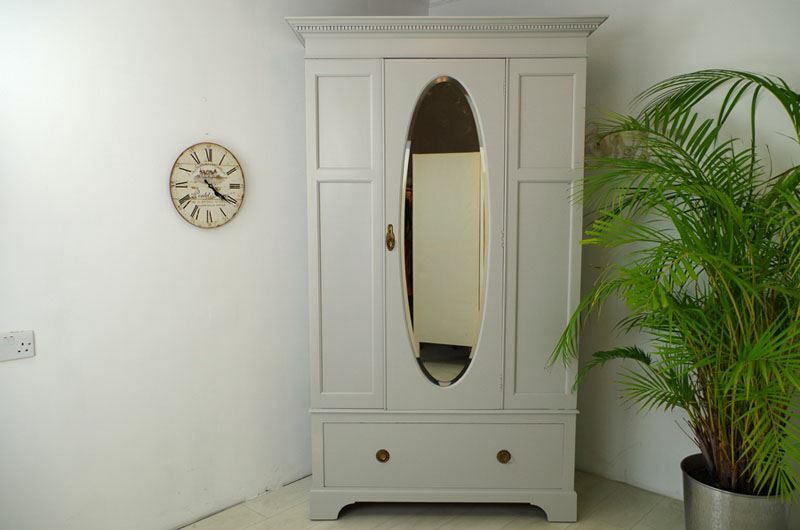 We have fully refurbished this Armoire/Wardrobe and given a whole new lease of life. On arrival we gave it a thorough woodworm treatment (although this was long gone). 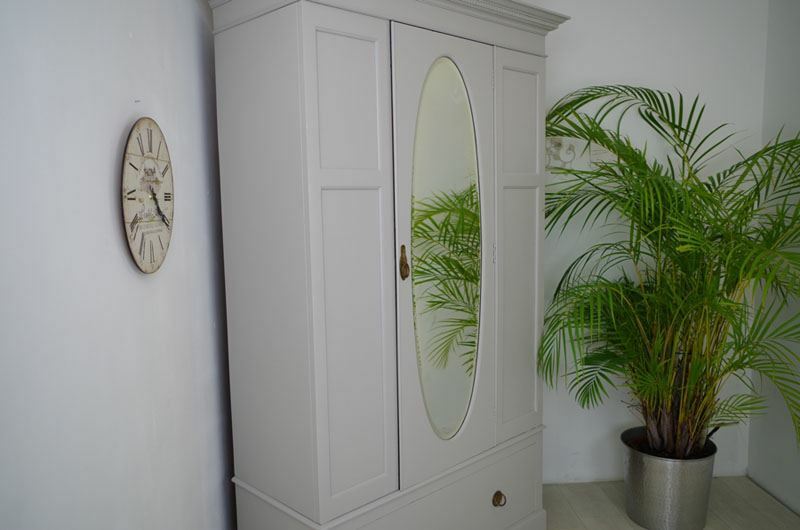 We sanded the full piece and then primed, undercoated and painted it in "Spell Grey" acrylic water based satin. 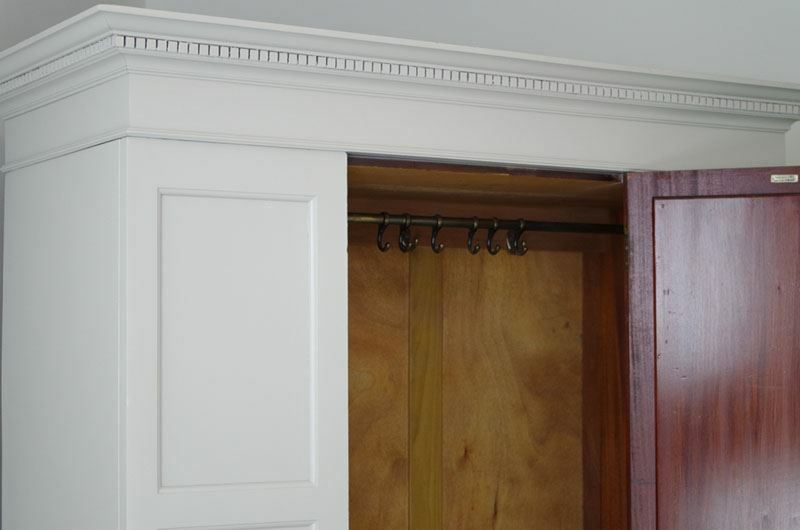 The wardrobe still has the original hooks and a hanging rail. 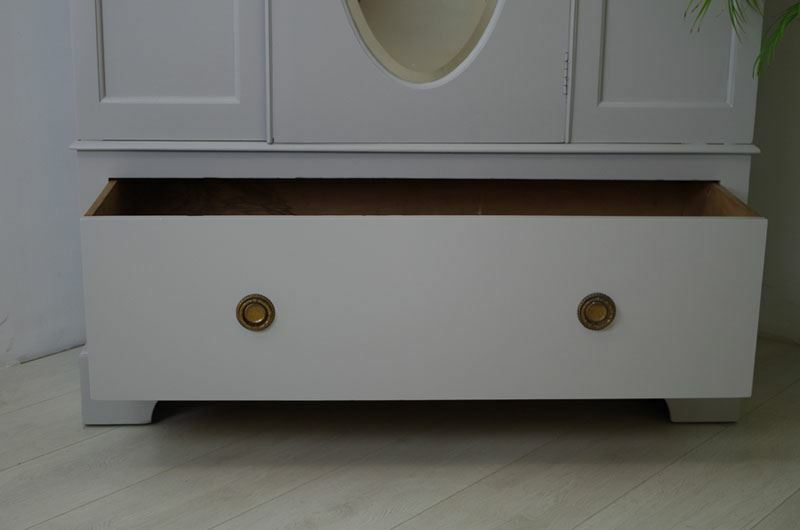 The drawer at the bottom is a very deep and ideal for storage of linen or clothing. It still has the original handles. 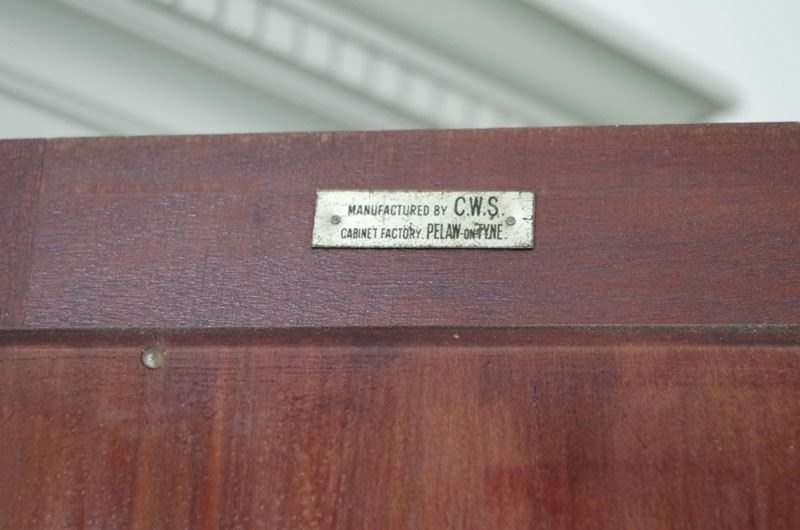 As with all our painted furniture this piece has also been waxed with carnauba for protection. 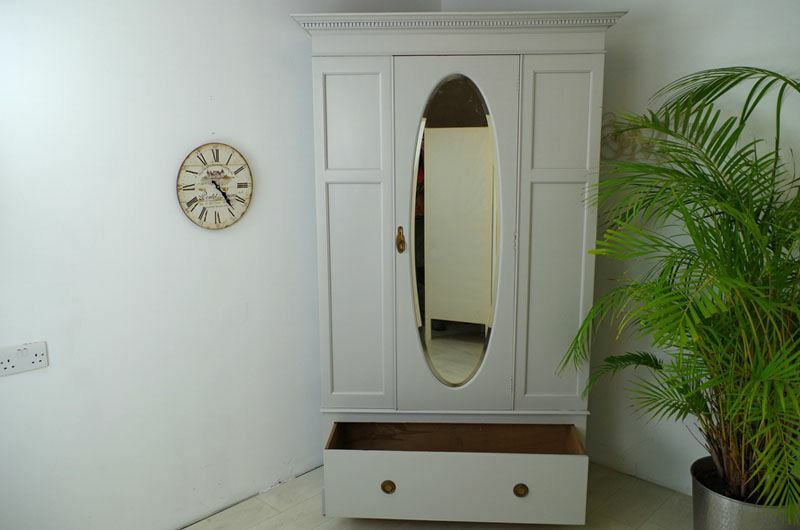 The wardrobe separates into three sections for transportation.